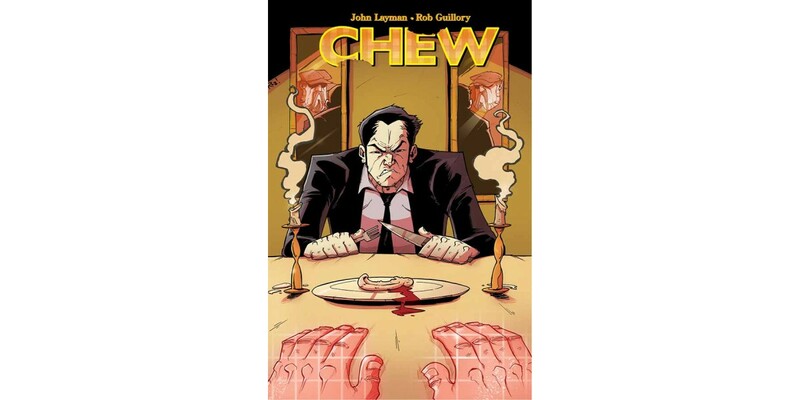 New York Times bestselling creative team John Layman and Rob Guillory will launch the final story arc in their fan-favorite culinary adventure CHEW this July. Previously in CHEW, Tony Chu was on the verge of a great discovery—which came at a great cost. Will Savoy’s sacrificial machinations have been in vain? CHEW #56 signals the beginning of the end: the final story arc. Five more issues. Yum! CHEW #56 (Diamond code: MAY160583) hits stores Wednesday, July 20th. Final order cutoff deadline for retailers is Monday, June 27th.